Adult and ZooCorps teen volunteers are the heart of our mission to save animals. New volunteers are required to complete the Zoo Ambassador training program which consists of a two-day classroom training session followed by a minimum of two 3-hour mentored shifts with an experienced zoo volunteer. Successful applicants to the adult volunteer program must have sufficient availability to attend two days of classroom training and schedule mentored shifts in the weeks following their initial training session. Ambassador Roving Shifts: Volunteers actively greet and assist guests as they encounter them across zoo grounds. Additional opportunities may include monitoring the Family Farm Contact Area and Molbak's Butterfly Garden, assisting with public programs and wildlife theater events, and other actvities that enhance the zoo experience for guests. 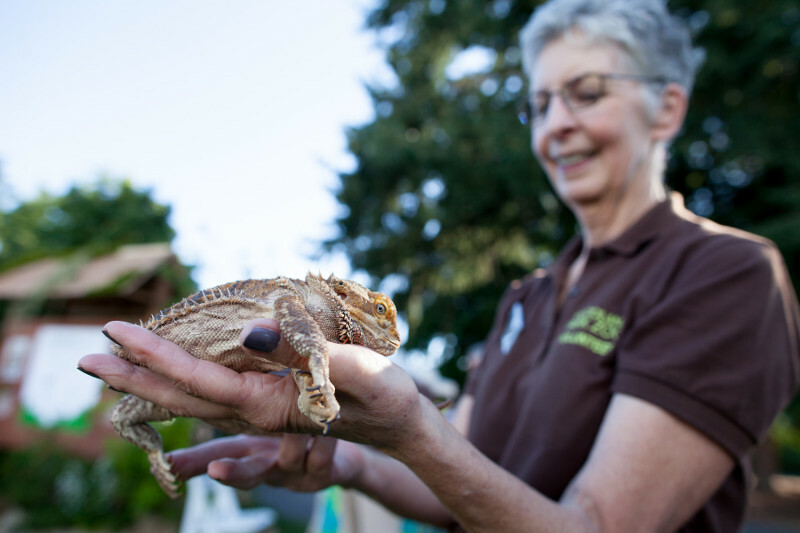 Special Events: Volunteers in a variety of ways at zoo events, including ticket taking, crowd management and assisting children with arts and crafts. 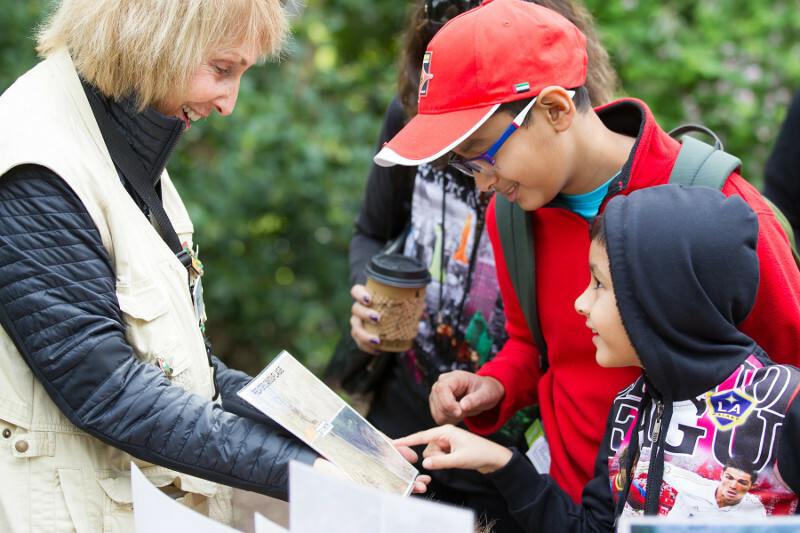 Community Outreach: Volunteers engage with the public and assist staff at community festivals and events outside of the zoo. Zoomazium or Educational Visit Volunteer: Volunteers engage with young visitors by facilitating nature play in Zoomazium answering questions from students on field trips. Docent Position: Docents present mission-based education programs to zoo guests and play an integral role in communicating the conservation and education goals of the zoo. Volunteers must commit to a service requirment of 72 hours per year, including 30 hours of docent-specific activities. Some docent activities require a regular schedule and specialized training. The following activities are offered on a limited basis to current zoo volunteers who can commit to a weekly service day for a minimum of 6 months. Animal Unit Volunteer: Volunteers assist animal keepers by cleaning and maintaining animal areas and work spaces. Certain positions require an annual Tuberculosis (TB) skin test. Horticulture Volunteer: Assist in maintenance of various plants and gardens on zoo grounds (including the Woodland Park Rose Garden) that will be used as enrichments for zoo animals.